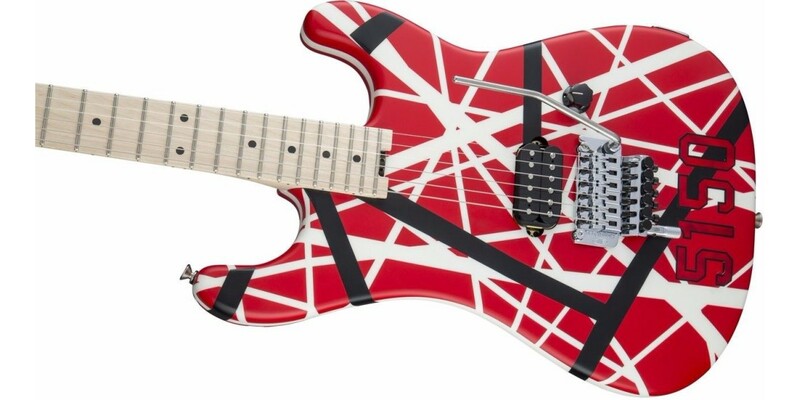 When Eddie Van Halen introduced his famous red, white and black striped 5150 guitar in 1984, he never would have fathomed the thousands of copies it would inspire. But then again, Eddie has made a career of being copied in every which way imaginable. 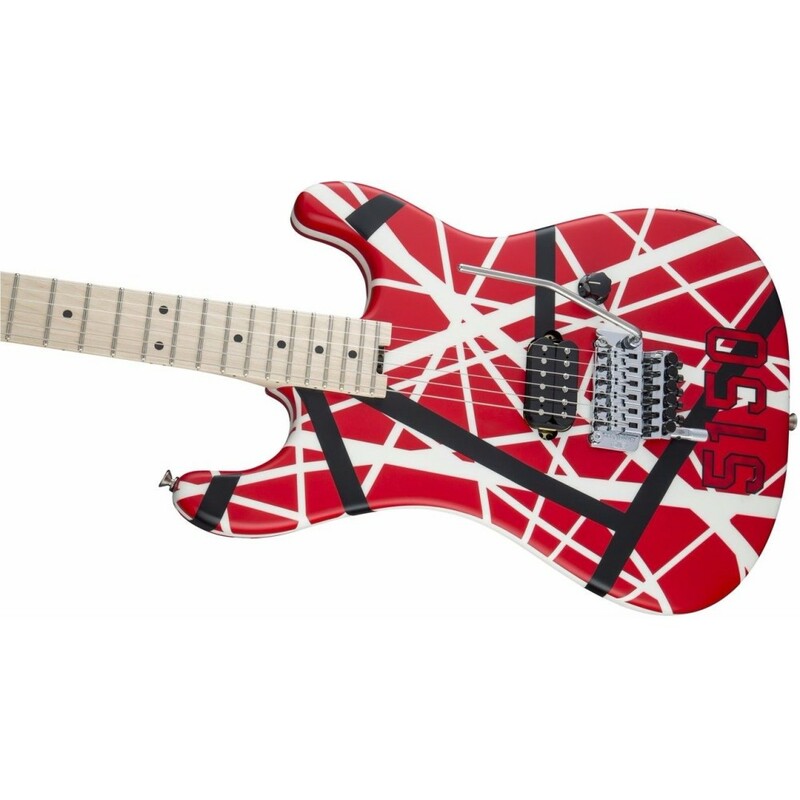 EVH Gear proudly introduces a new Striped Series 5150 model based on his original instrument, featuring his distinctively striped 5150 motif and single humbucker setup. 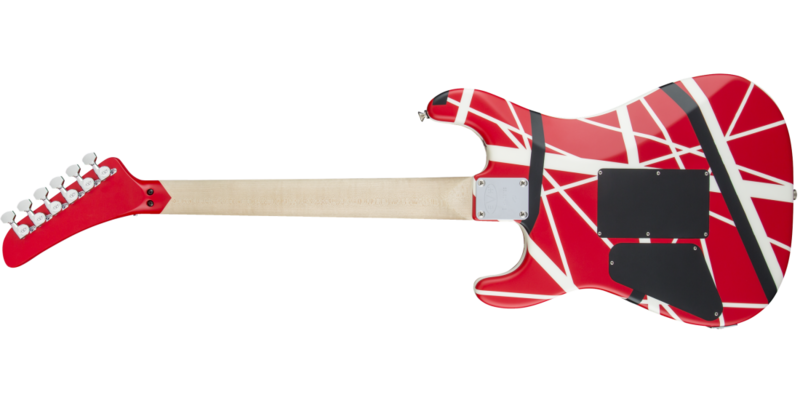 The Striped Series 5150 has a basswood body identical to the original, with a bolt-on quartersawn maple neck featuring a comfortable modified "C" profile, hand-rubbed back finish and "hockey stick" headstock. 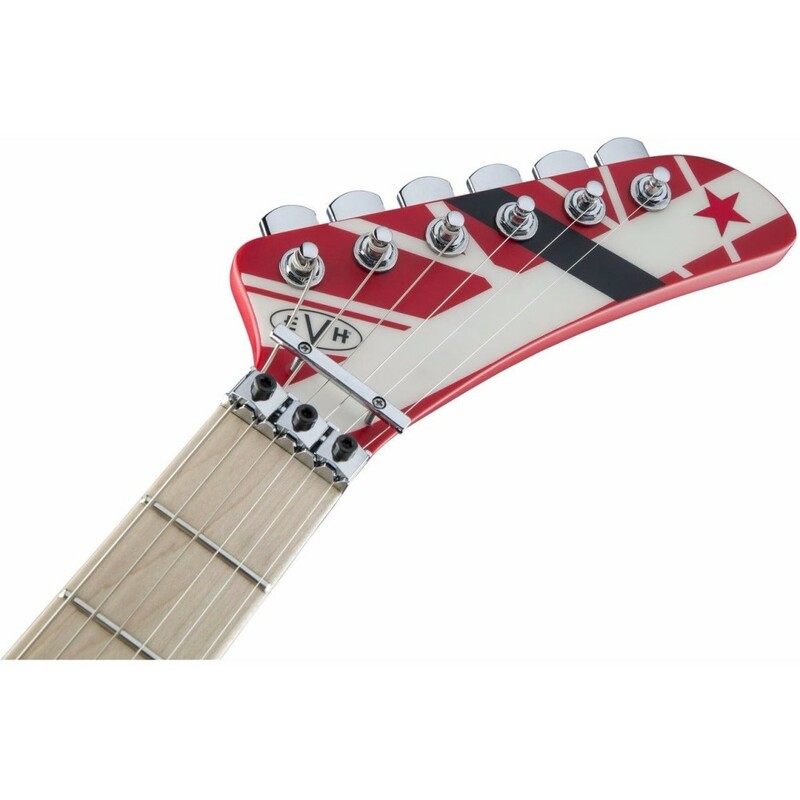 The fast-playing compound-radius (12"-16") maple fingerboard has 22 jumbo frets, black dot inlays and a convenient heel-mounted truss rod adjustment wheel. 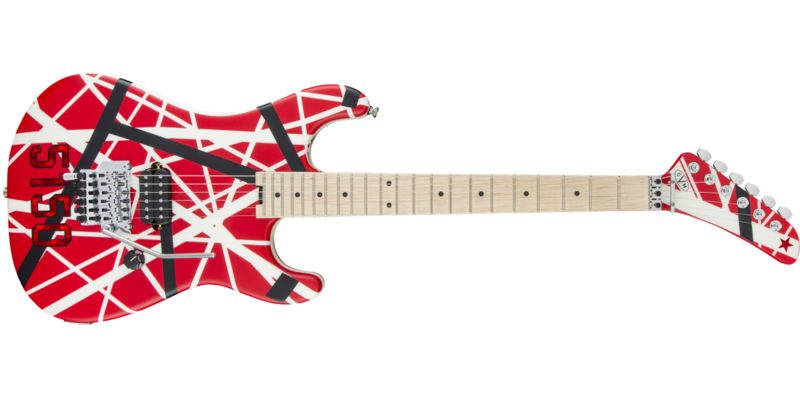 The 5150 is also fitted with a custom designed EVH Wolfgang alnico 2 Humbucker bridge pickup, delivering the perfect amount of power and articulation with sweet sustain and thick chunky rhythms in a perfectly balanced EQ curve. 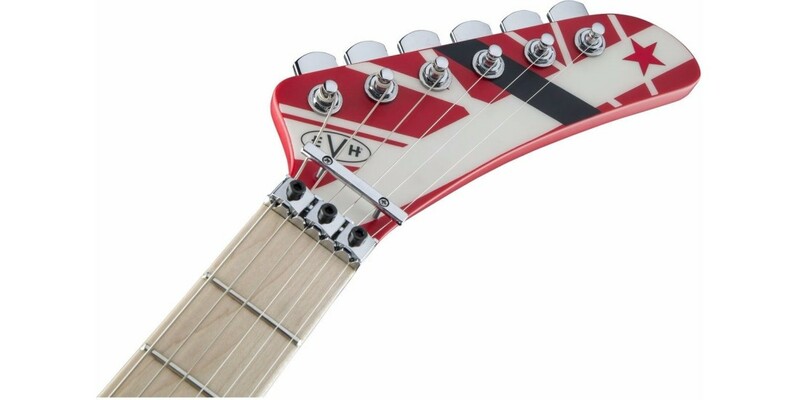 A custom designed EVH-branded low-friction volume knob provides for unmatched performance and even-volume tapering for the smoothest volume swells. 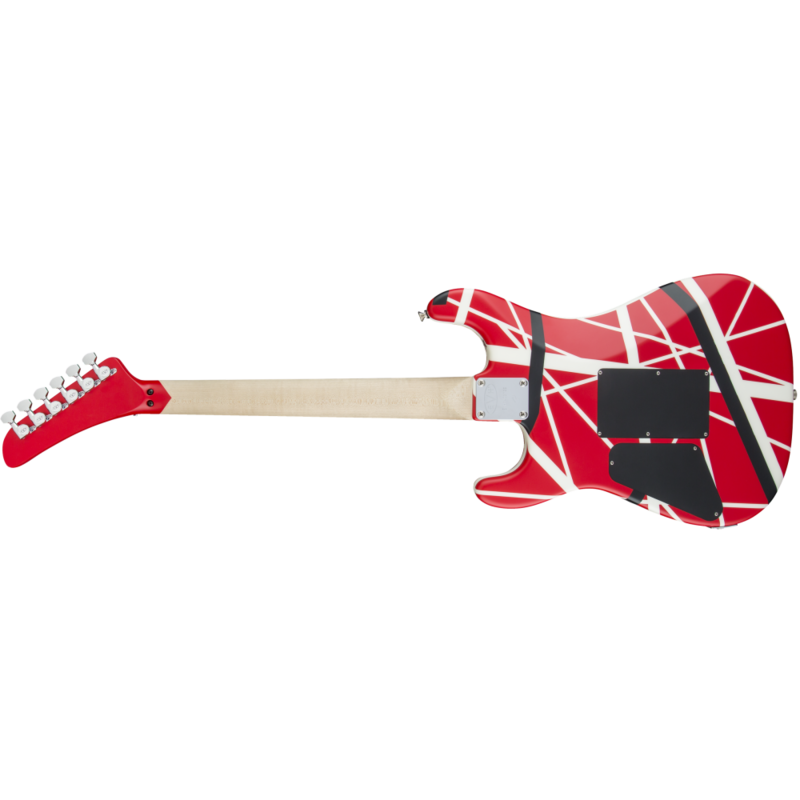 Decked out with a rock solid "dive bomb' certified EVH-branded Floyd Rose bridge, each locking nut tailpiece features fine tuners and a patented EVH D-Tuna for switching back and forth from drop-D to standard tuning in an instant. 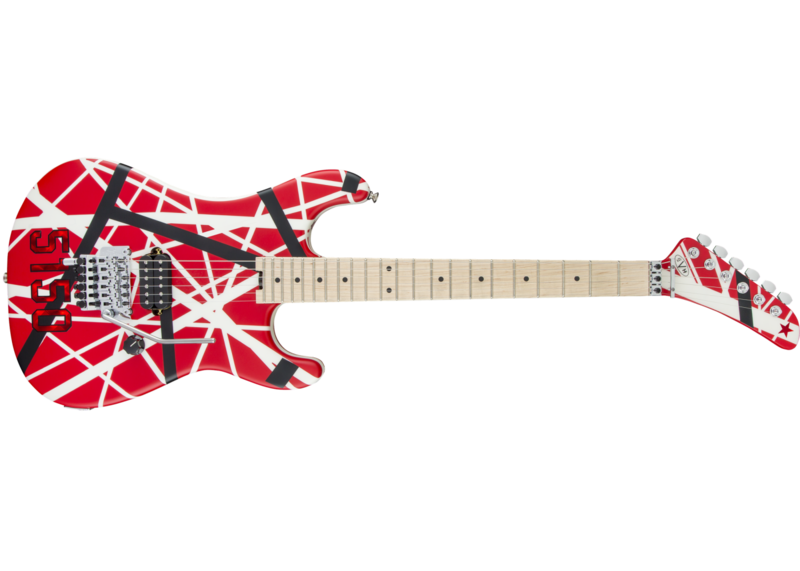 With its quintessential red 5150 hologram numbers and star decals, the Striped Series 5150 is a high-powered, high-performance machine that's as kickass to look at as it is to play.